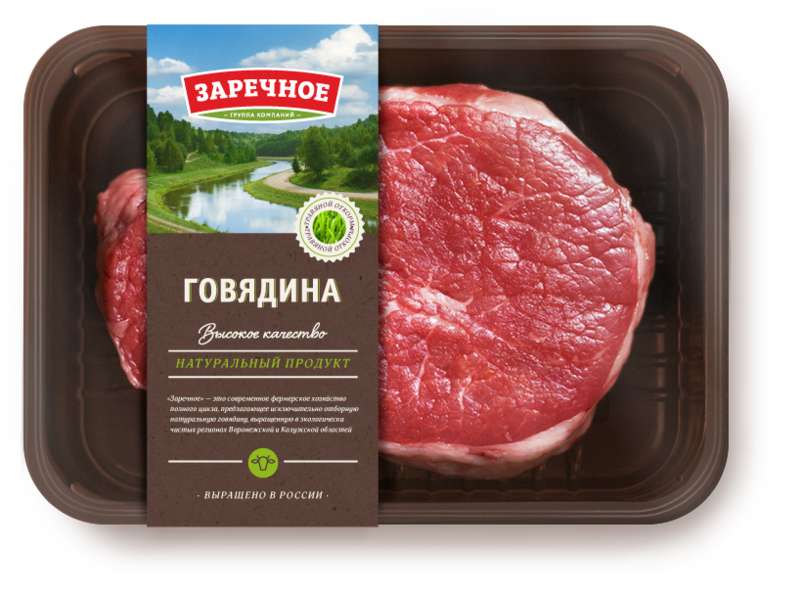 “Primebeef” is a premium brand of high quality beef with special approach to breeding, feeding as well as raising animals in the most ecologically friendly regions of Russian Federation. 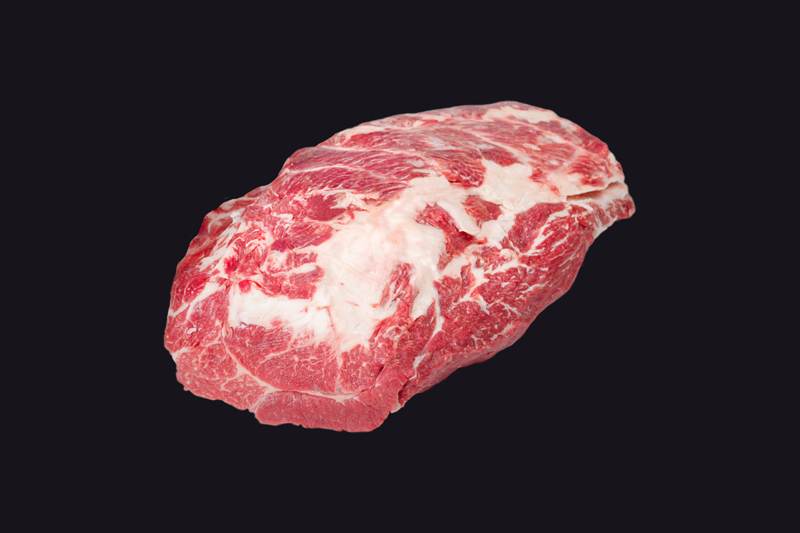 This roast is well-marbled, juicy and has excellent beef flavor. The difference between this and the flat iron, is that the connective tissue has not been removed. Juicy, flavorful and versatile cut. 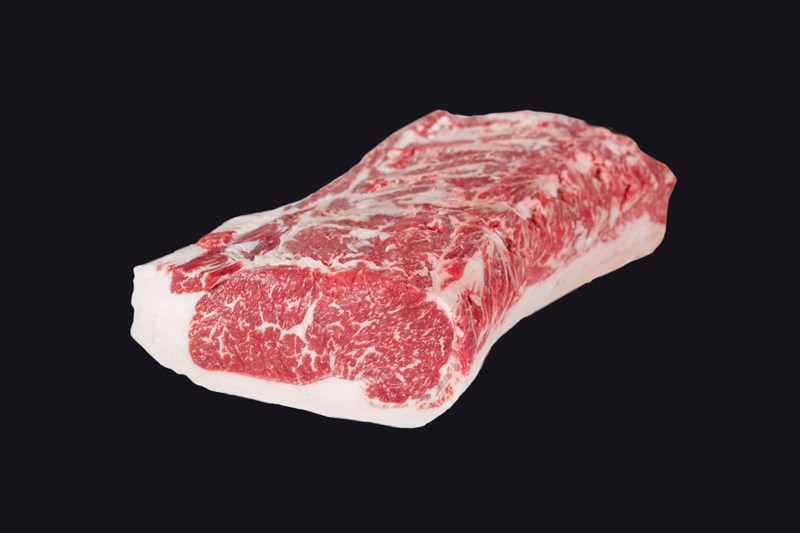 Generous marbling allows to grill or broil it being cut into Under Blade Steaks, as well as to roast it in whole. 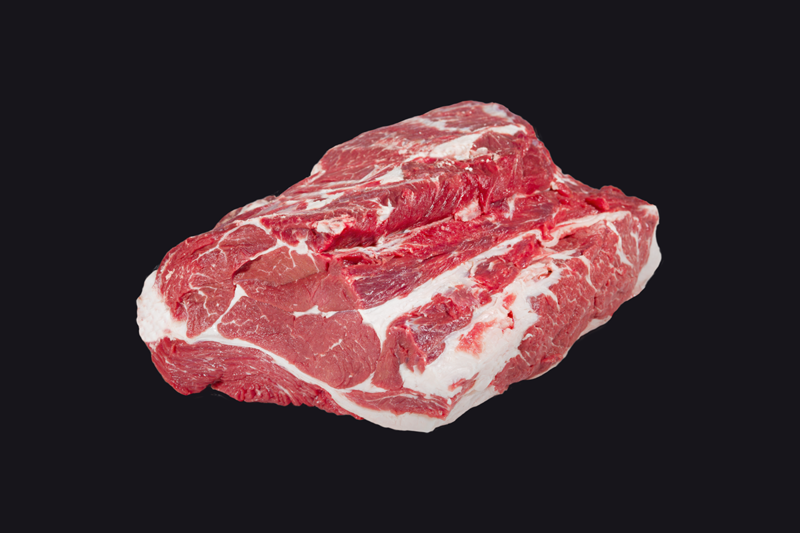 Flavorful, juicy and meaty; can be cut long or short. A less tender cut. Take full advantage of its great taste by first braising. Then grill. Slow, moist cooking is best for this roast because it can be slightly tough. Can also marinate and use for kabobs. Robust, beefy flavor that does well when cooked in moist heat. Great for cutting into stew meat. 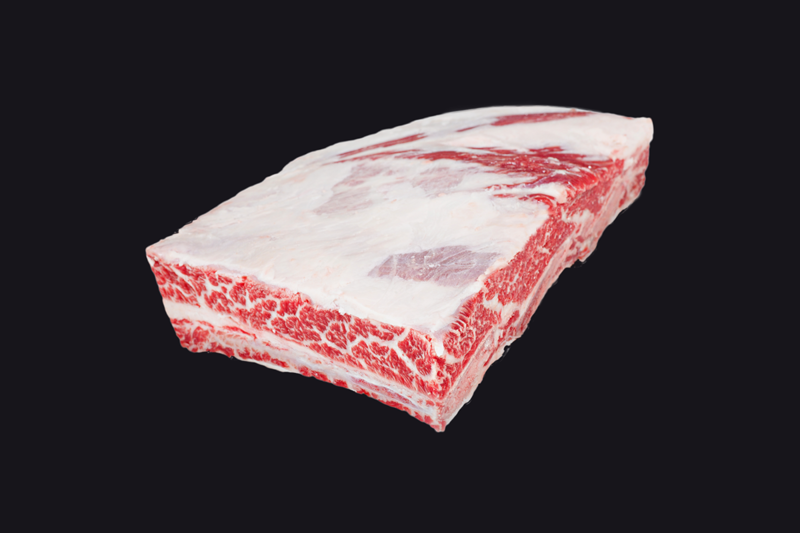 Kalbi/Flanken are short ribs that are cut across a 3 bone section of the short rib. 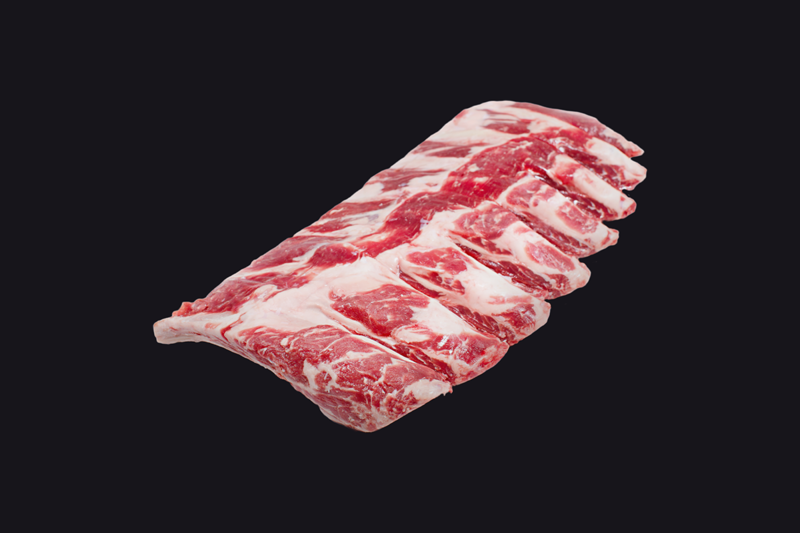 These are perfect for making Korean Kalbi or traditional Jewish Flanken. 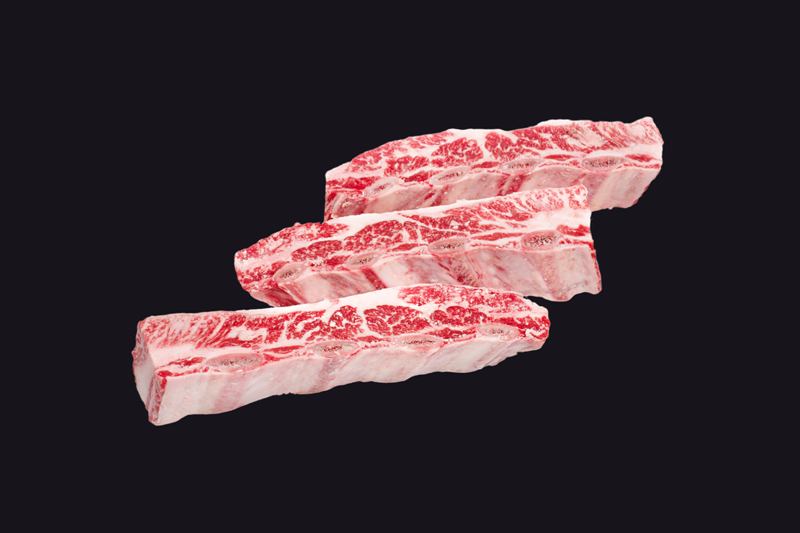 The bones in the Kalbi not only add flavor, but act as a natural hand-hold. 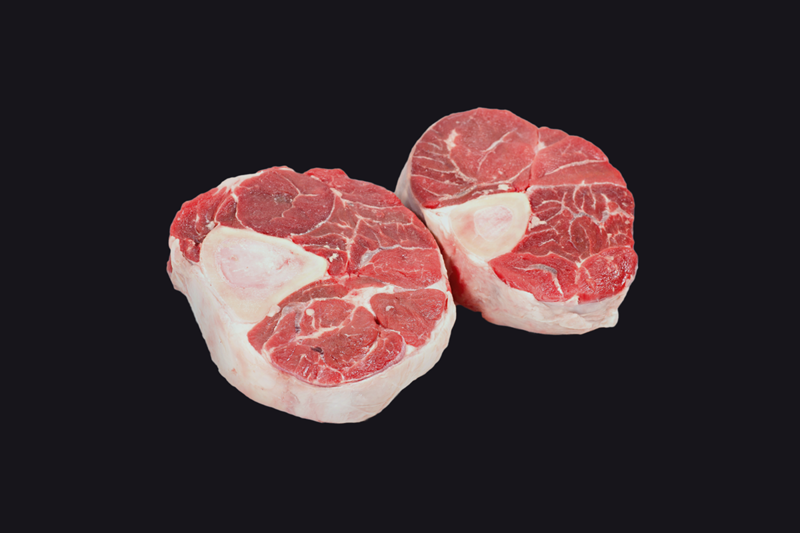 A flavorful and classy cut that can be roasted whole or cut into medallions; great taste and texture, economical. 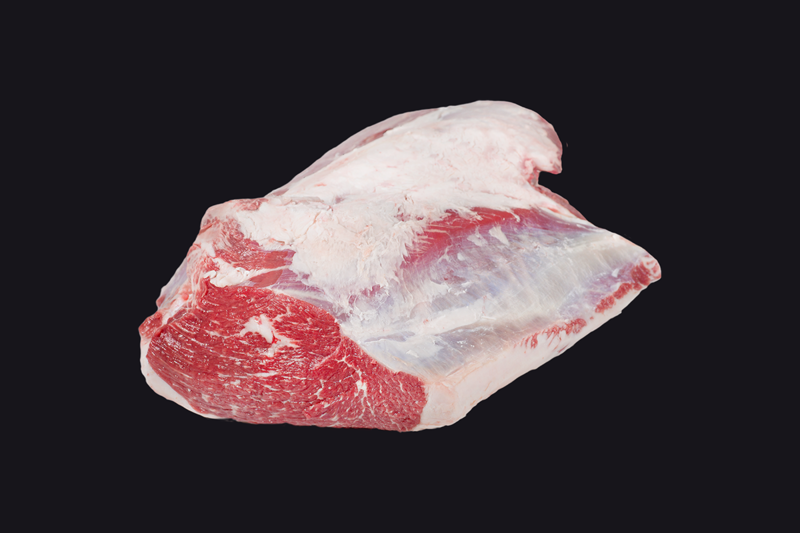 A flavorful and less tender cut from the heart of the shoulder clod, the shoulder clod roast is an economical cut. 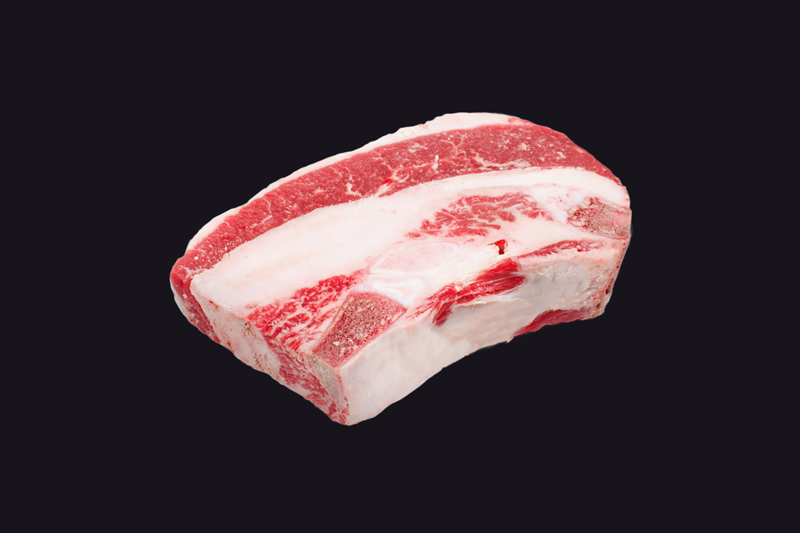 A Bone-In Rib. Rich, beefy flavor. 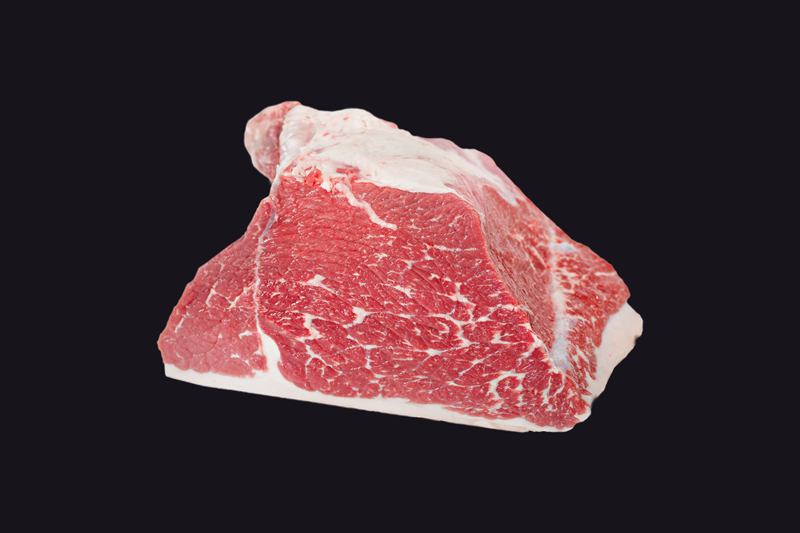 Juicy and fine-grained with generous marbling throughout. Fine-grained and tender. 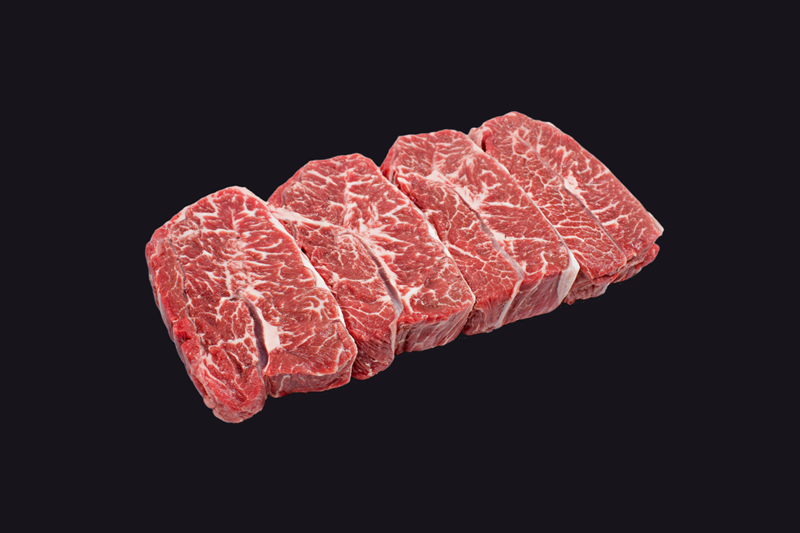 Can be sliced to Ribeye Steaks. 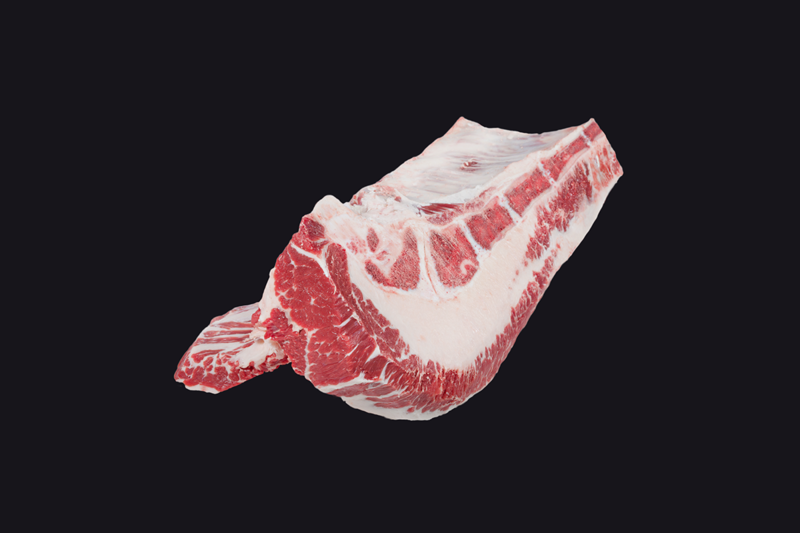 A Rib Roast minus the bone. Rich, beefy flavor. 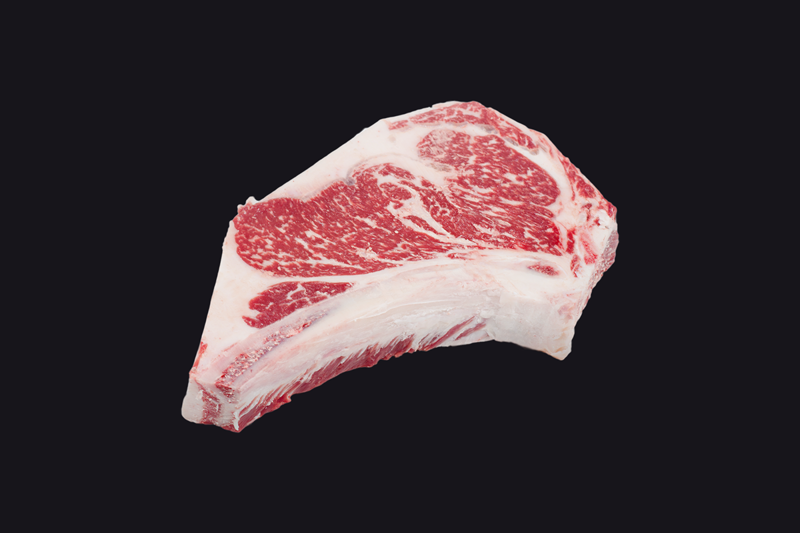 Juicy and fine-grained with generous marbling throughout. Fine-grained and tender. Can be sliced to Ribeye Steaks. 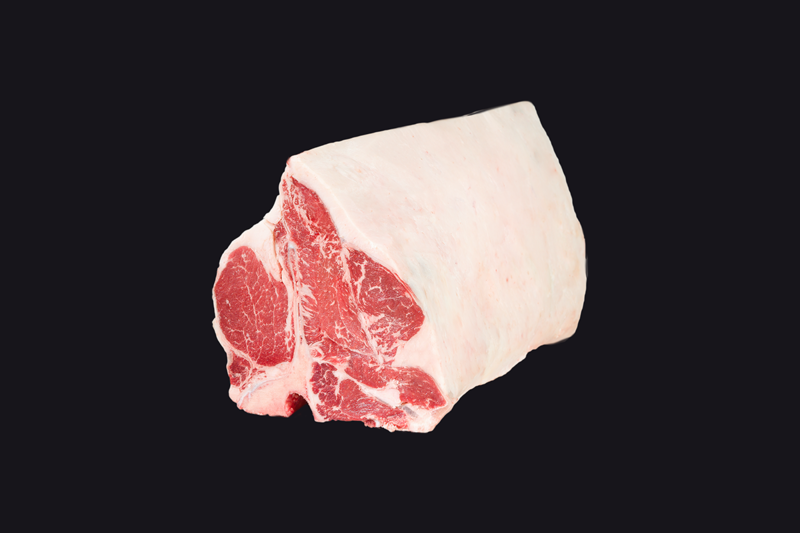 The Striploin is a lean, tender and flavorful roast that is fine-grained with a sturdy texture. 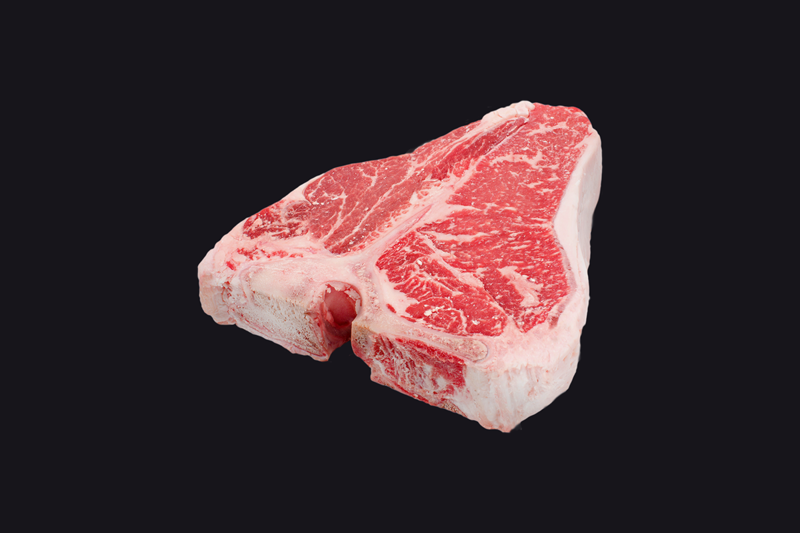 Can be sliced into New York Strip Steaks. 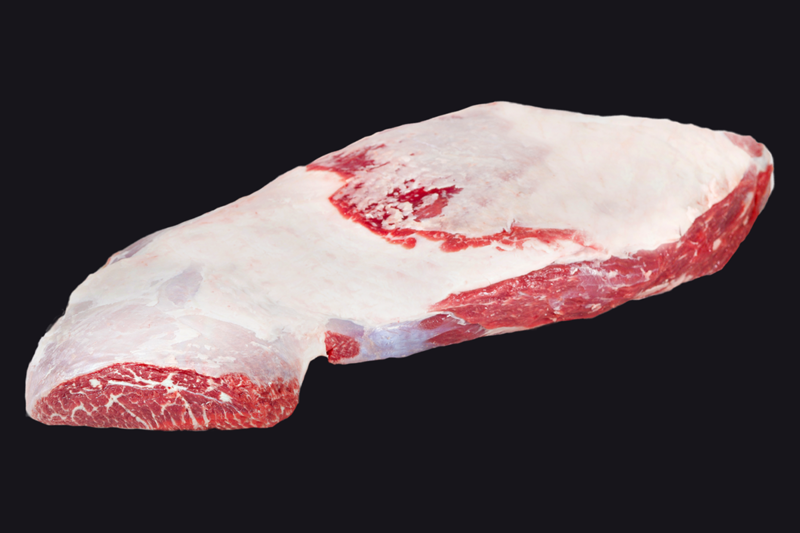 The cut is made from the hindquarter after removal of the Round and the Short plate. 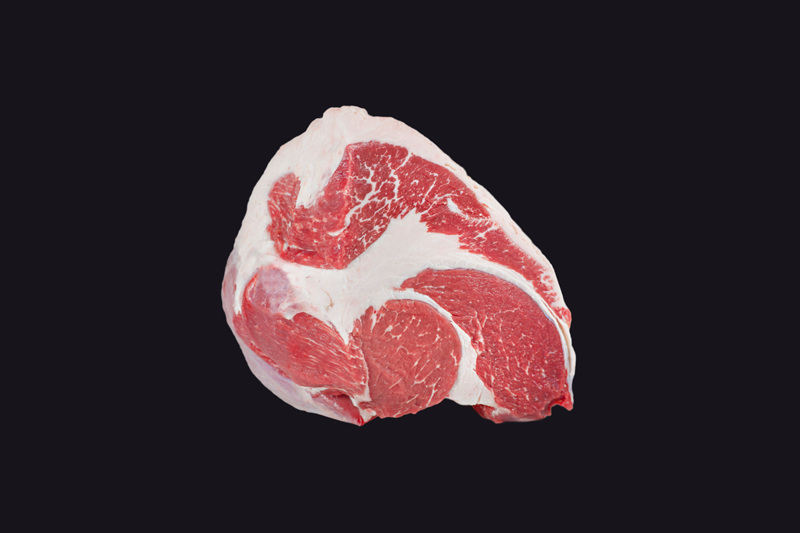 The most gourmet steaks, such as T-Bone and Porterhouse, are sourced from it. The Tenderloin is the leanest and most tender cut. The highest-quality beef roast. Fine texture and mild, yet succulent flavor. 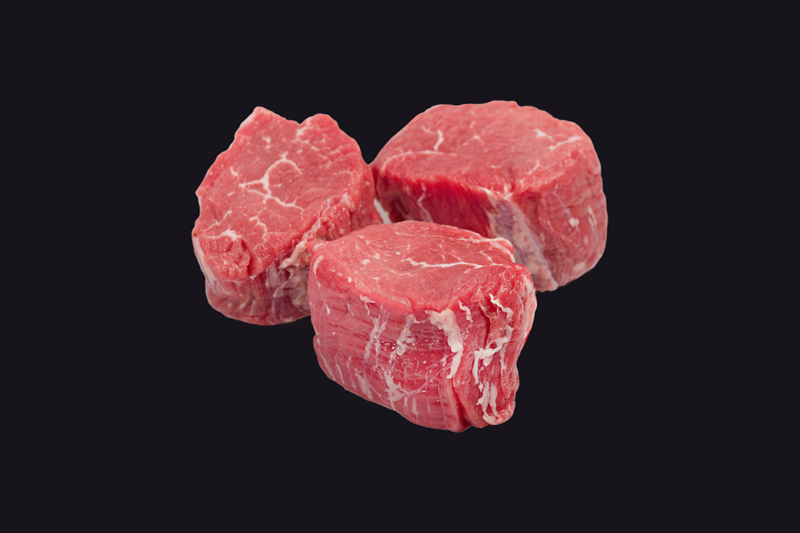 Can be prepared whole or cut into center-cut steaks. Economical, moderately tender roast from the top round. Marinate before grilling. These large, round or loaf-shaped cuts require braising to tenderize. Firm texture can be coarse, dry and stringy if overcooked. Very economical. An economical, lean and flavorful cut. 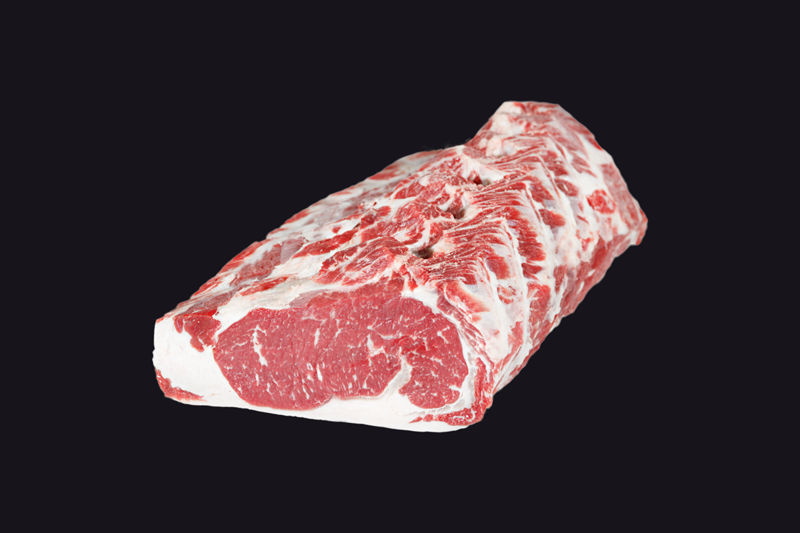 Can be cooked either whole or separated into certain muscles or portioned steaks. 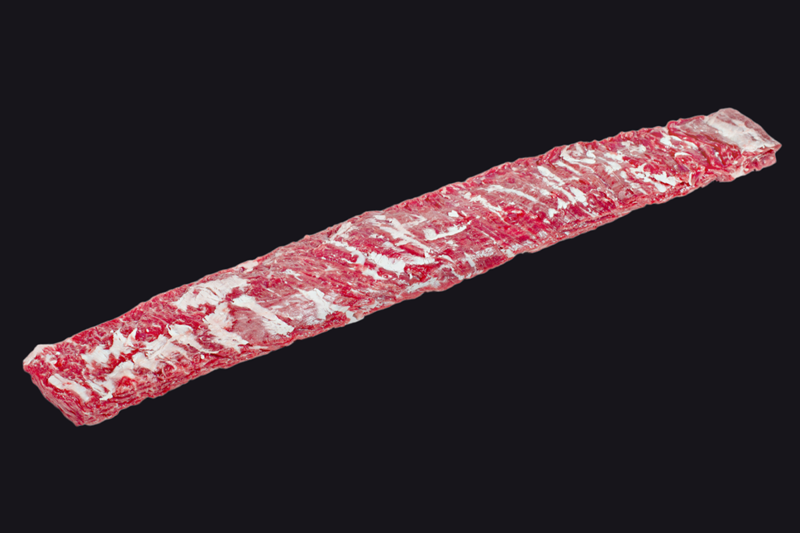 The meat requires tenderizing or long period cooking. An economical cut that can be slightly tough and dry. 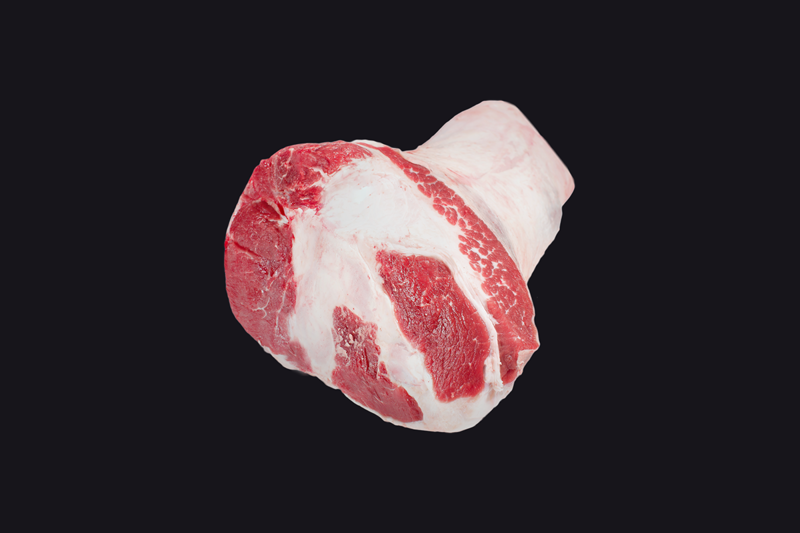 A great dollar-stretcher that can be prepared in the slow cooker or braised for optimum flavor. 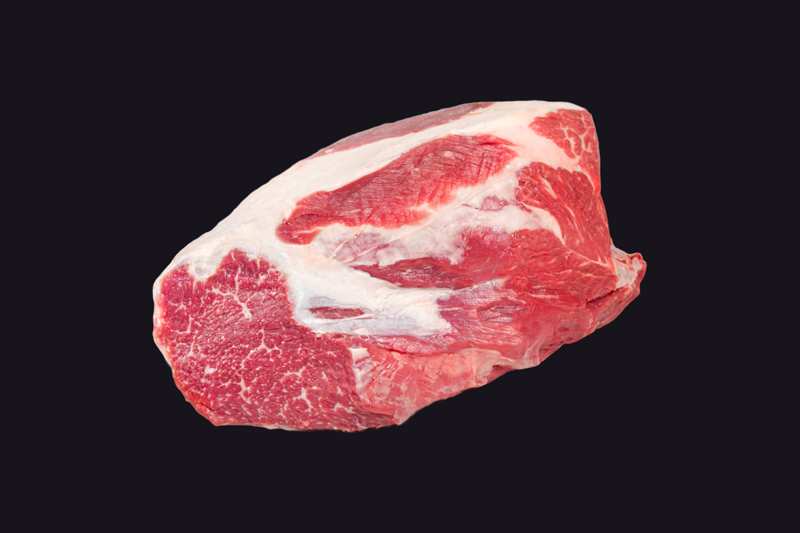 Lean, well-flavored and moderately tender beef at an affordable every day price. Convenient and a great value with no bones and little fat. Versatile, juicy and delicious. 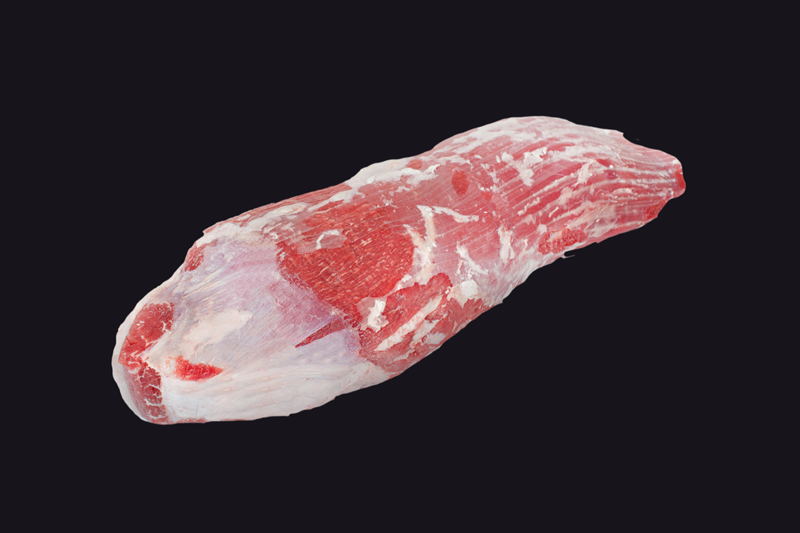 Silverside consists of one large lean muscle. 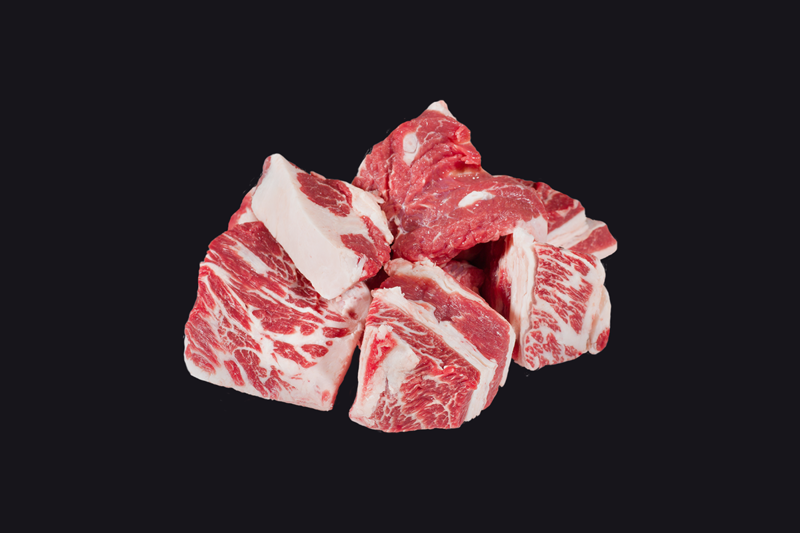 Contains a lot of connective tissue, therefore long period and low temperature cooking is preferred. A very economical roast with an average size of 1.5 kilos. Comes from the top sirloin. Versatile cut with great flavor. 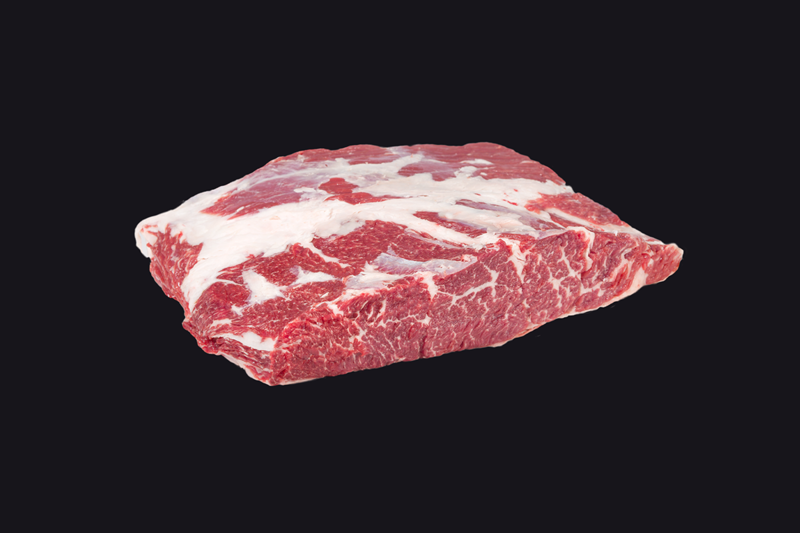 Flavorful and economical cut which is generally best cooked with moist heat methods such as stewing, braising, pot roasting, etc. Tenderizing is also a smart option with this cut. This versatile, juicy and delicious roast is lean and full of flavor. Moderately tender and boneless, it’s available at an affordable every day price. Rich, beefy flavor. A less-tender cut, it becomes tender and delicious with long, slow cooking. Brisket trimmed of fat. 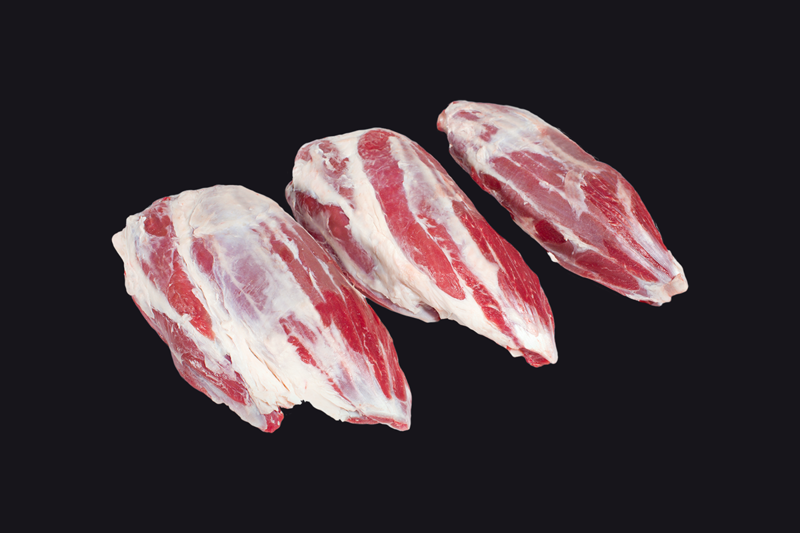 Great for slow cooking and also offered as a fresh cut or for corned beef. An excellent candidate for smoking. Juicy cut with a rich, beefy flavor. Great for making stews or is excellent for making soup stock. 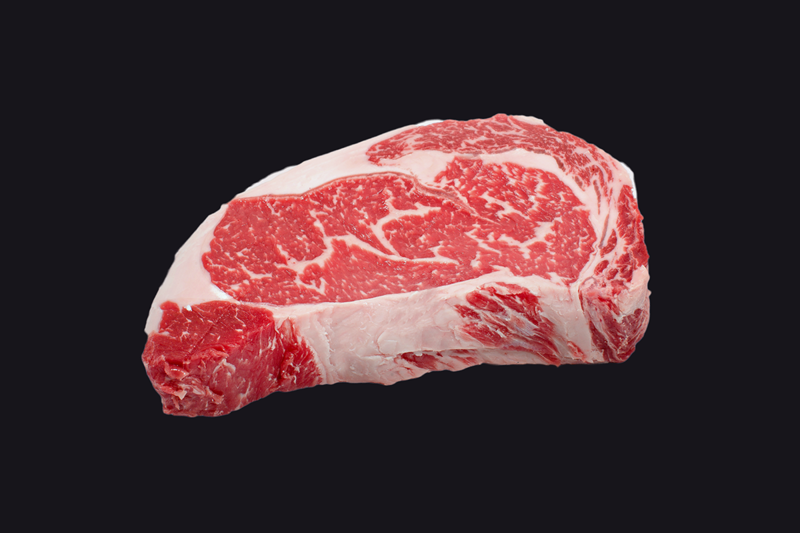 Juicy cut with a rich, beef flavor. Great for making stews or is excellent for making soup stock. Contains a bone. 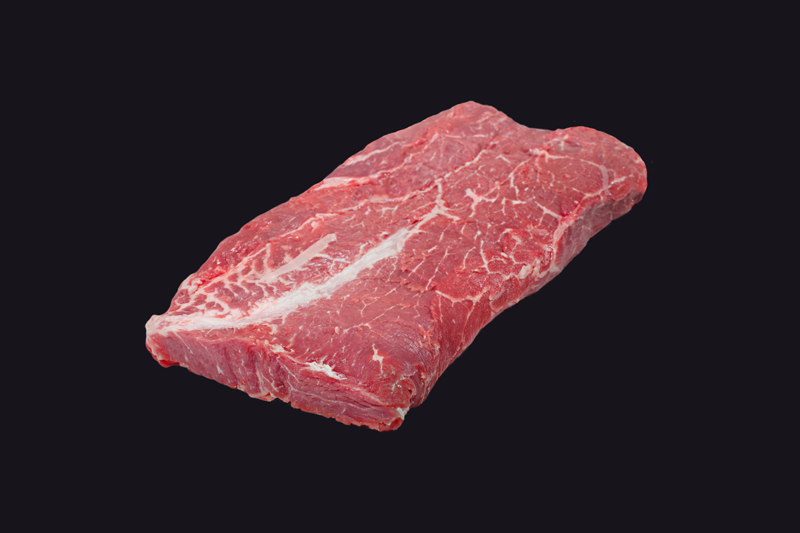 Versatile, lean and flavorful cut. Can be used in stir-fry dishes or just grilled and sliced across the grains. 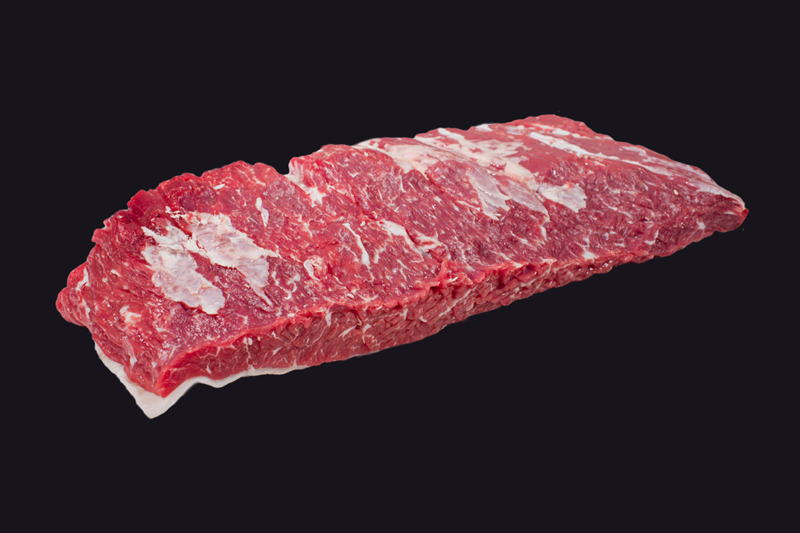 A Skirt Steak has deep, rich, beefy flavor. When slicing, cut across the grain. Can be grilled, but best to marinate first. A steak from a flavorful and classy cut. Great taste and texture, economical. 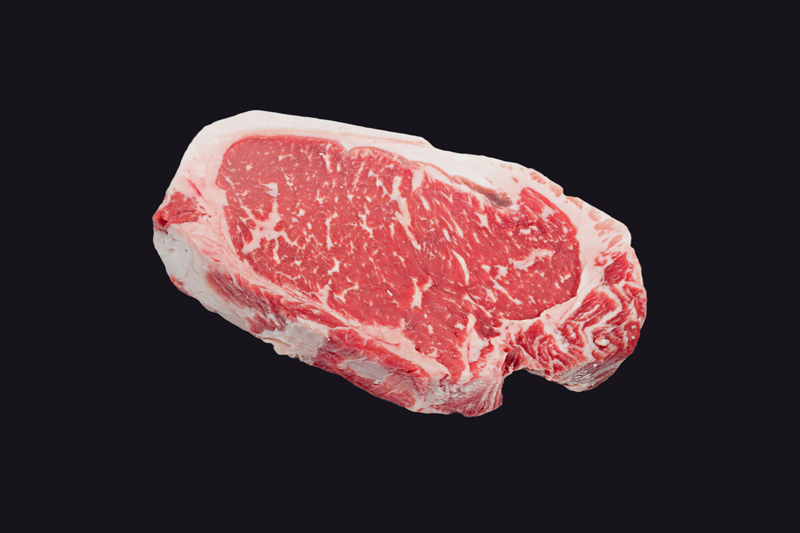 This steak is well-marbled, juicy and has excellent beef flavor. The difference between this and the flat iron, is that the connective tissue has not been removed. 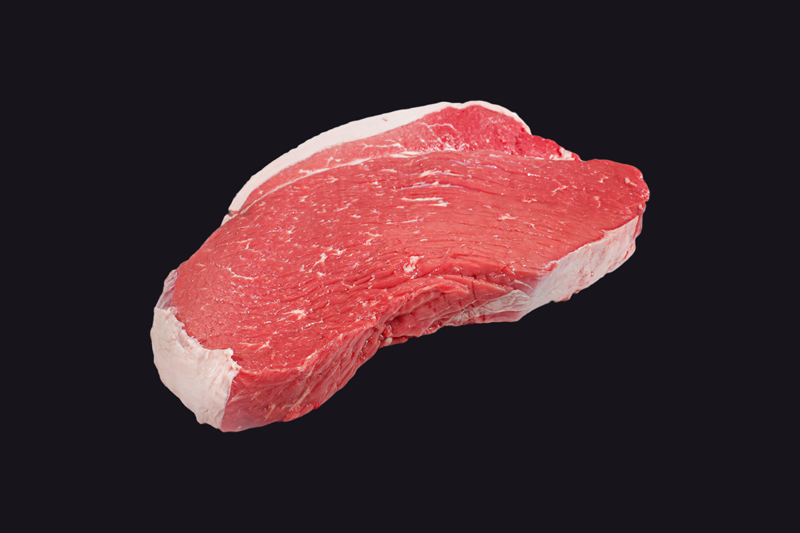 A steak is sliced from a juicy, flavorful and versatile cut. 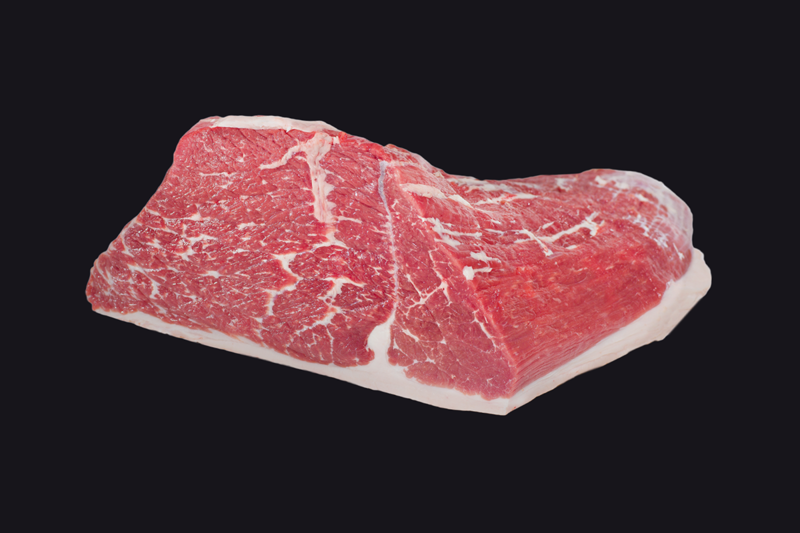 Generous marbling allows to grill or broil it cut being cut into Under Blade Steaks, as well as to roast it. 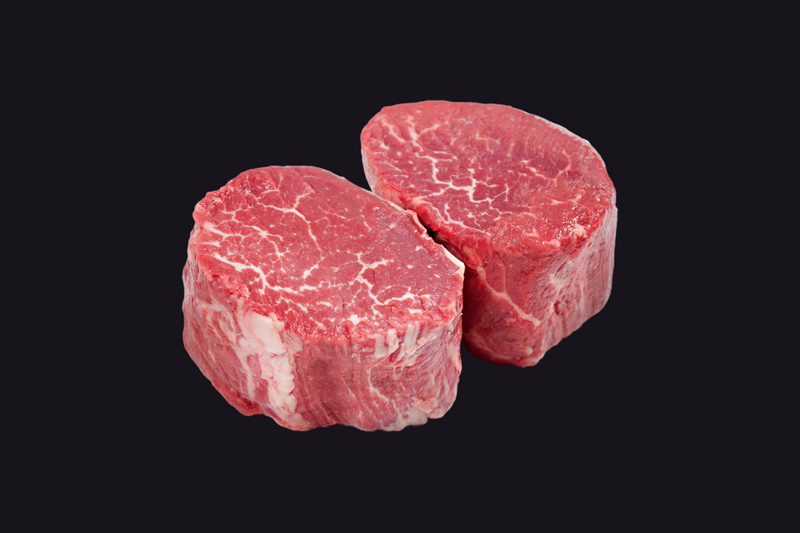 A classy cut that looks like a filet when cut into medallions; has a similar taste and texture, economical. 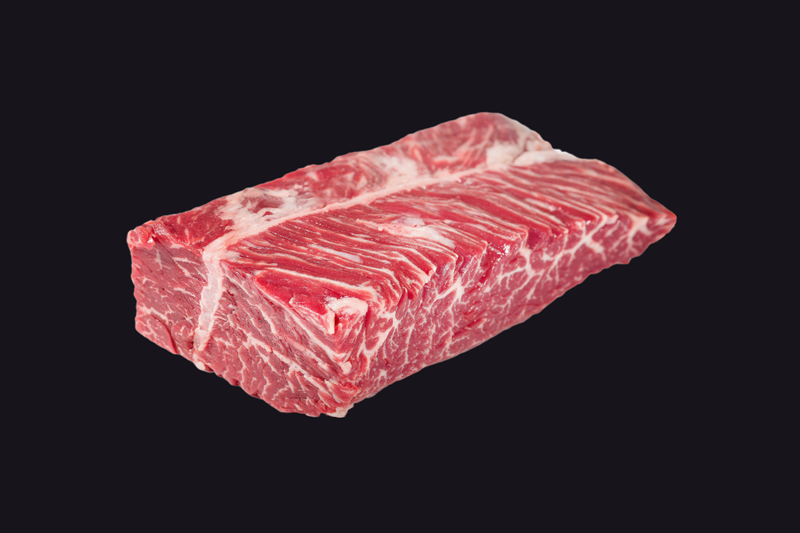 Vegas Strip Steak was discovered pretty recently. It tastes pretty similarly to New-York Steak, but it’s sourced from Chuck instead of Striploin. Cut from the chuck eye roll; a good, low-cost alternative to the ribeye, though slightly less flavorful and tender. Marinate before grilling. 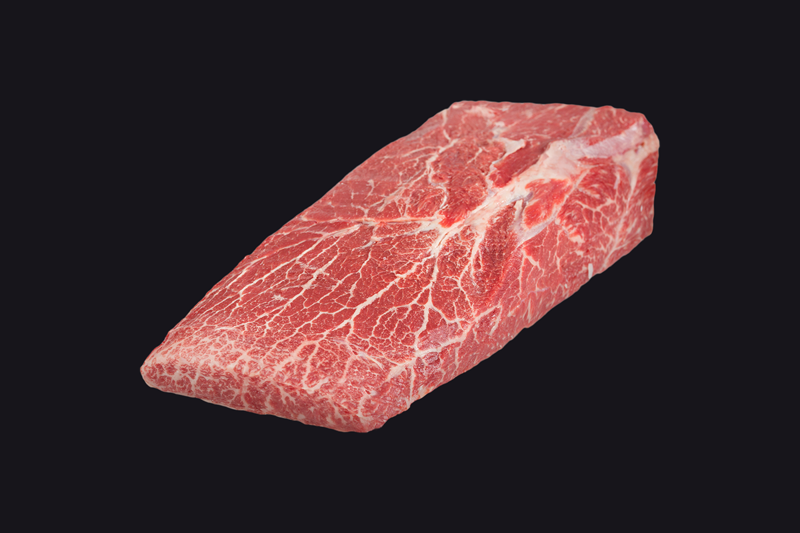 Well-marbled, tender and juicy; second in tenderness only to tenderloin and about half the cost. Come from the sixth to twelfth ribs. Braise before grilling. 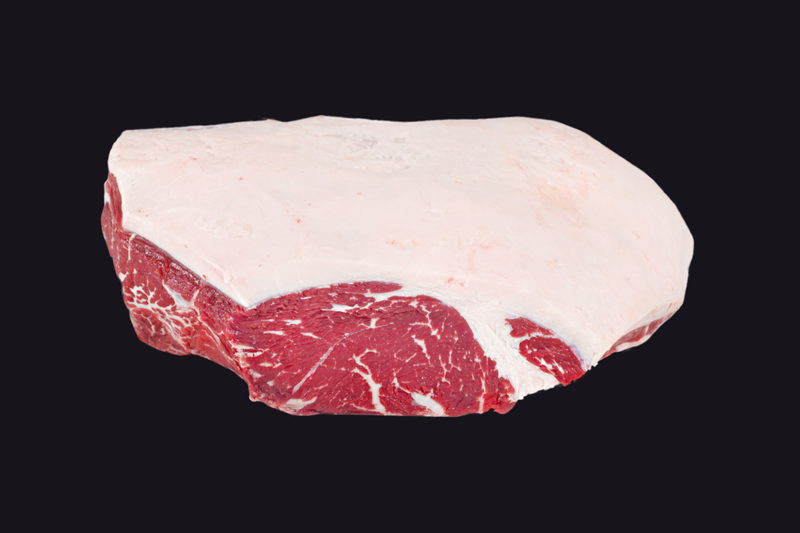 A Ribeye is a rib steak minus the bone. 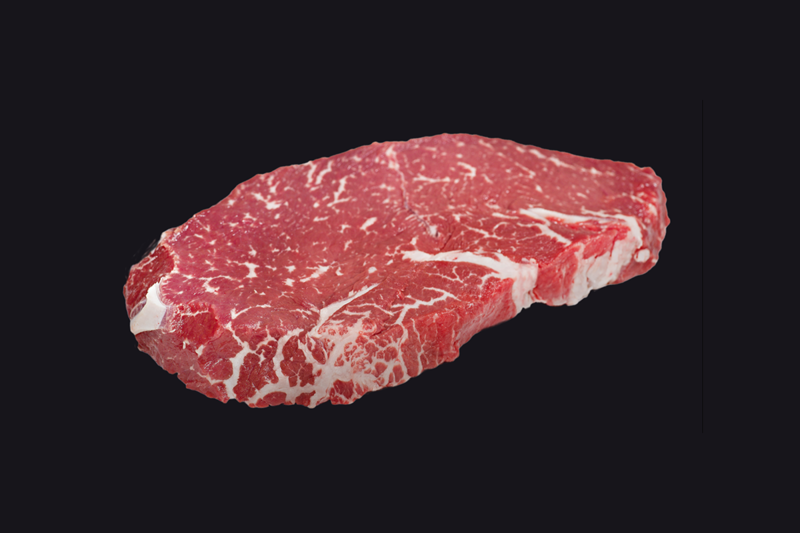 Fine-grained steak. 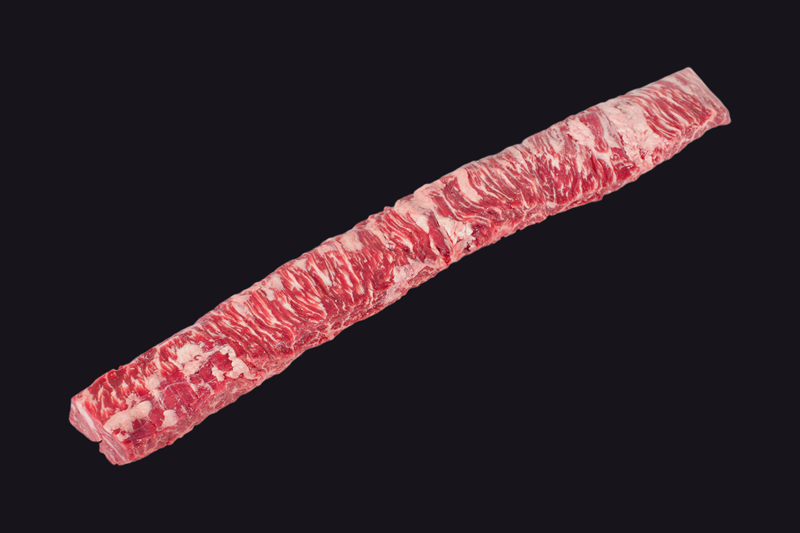 Rich, beefy flavorful. 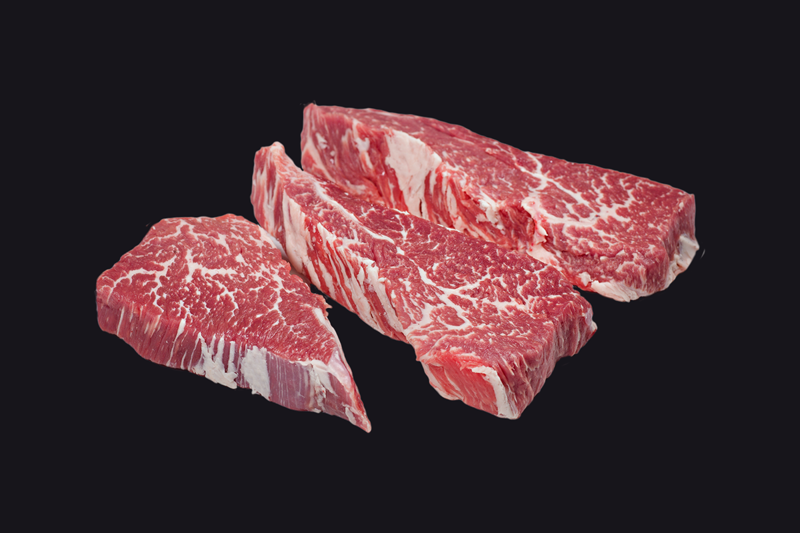 Juicy with generous marbling throughout. One of the most tender beef cuts. 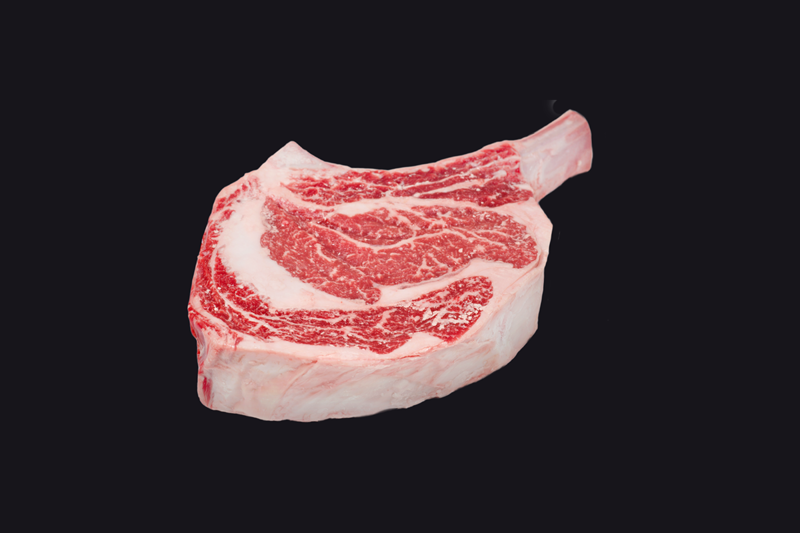 A Cowboy Steak is a bone-in Ribeye with longer rib bone. The steak is fine-grained and juicy. 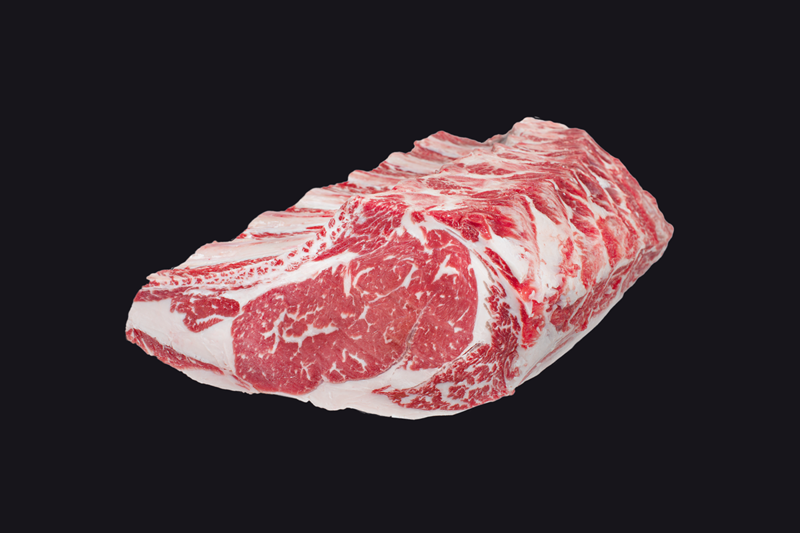 Rich, beefy flavor and generous marbling throughout. 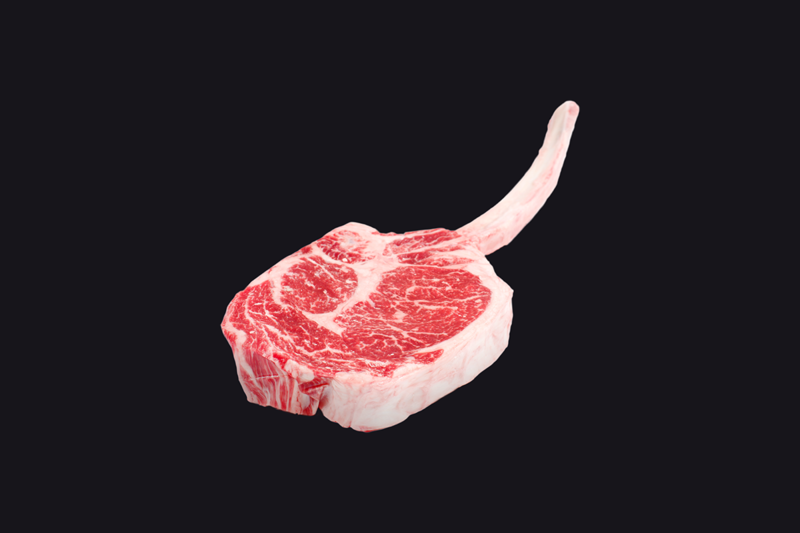 A Tomahawk Steak is a bone-in Ribeye with almost whole rib bone intact. The steak is fine-grained and juicy. 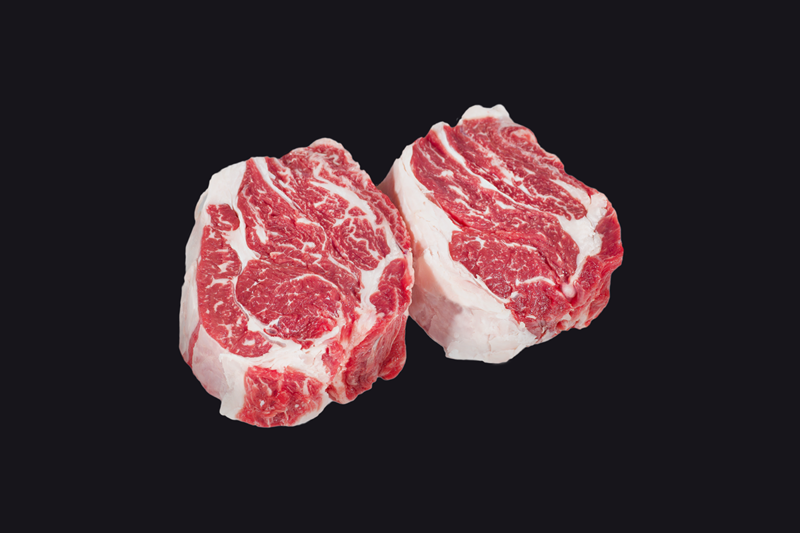 Rich, beefy flavor and generous marbling throughout. 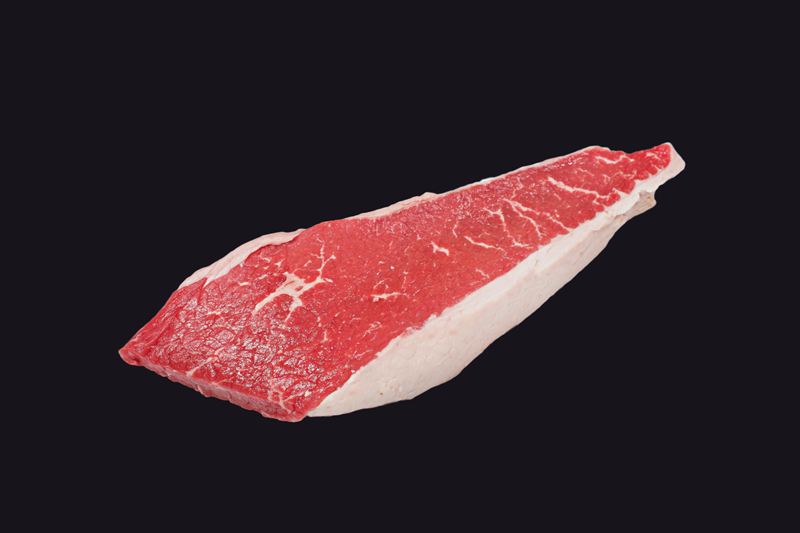 A New York Strip Steak is prepared from Striploin Roast. Lean, tender and full-flavored. Available boneless and bone-in. Quick-cooking. Fine-grained with sturdy texture. 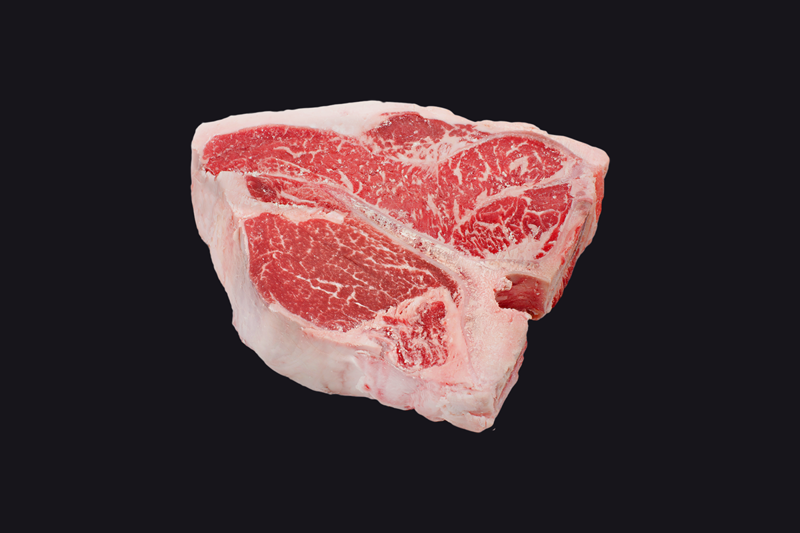 A Porterhouse combines two lean, tender steaks. 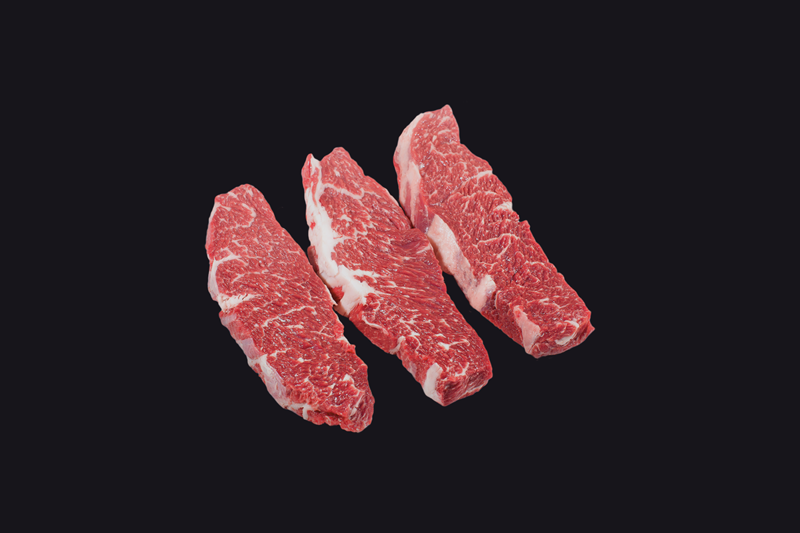 Consist of both top loin (strip) and tenderloin steaks, connected by a tell-tale T-shaped bone. If diameter of tenderloin is larger than a golf ball, it’s generally considered a Porterhouse, otherwise the steak is called T-Bone. 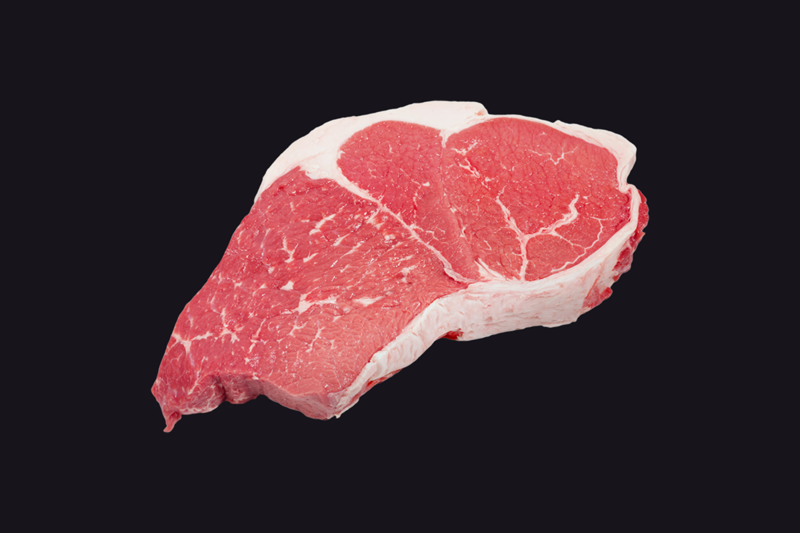 A T-Bone Steak combines two lean, tender steaks. 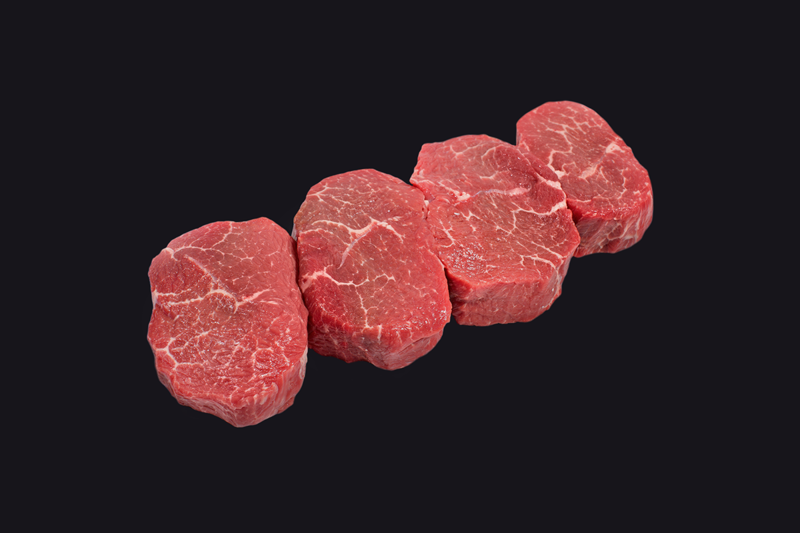 Consist of both top loin (strip) and tenderloin steaks, connected by a tell-tale T-shaped bone. If diameter of tenderloin is larger than a golf ball, it’s generally considered a Porterhouse, otherwise the steak is called T-Bone. 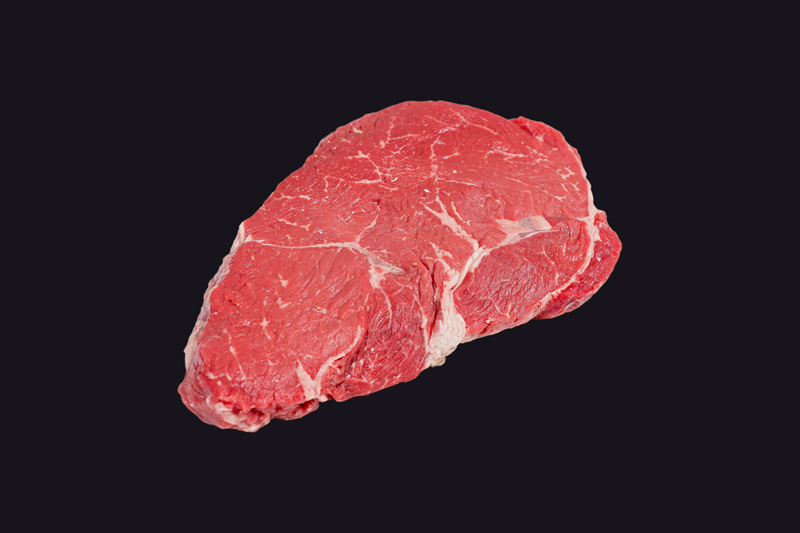 A Filet Mignon Steak is the most tender steak in the whole carcass. Lean yet succulent, elegant and convenient. Buttery texture, subtle flavor and compact shape. 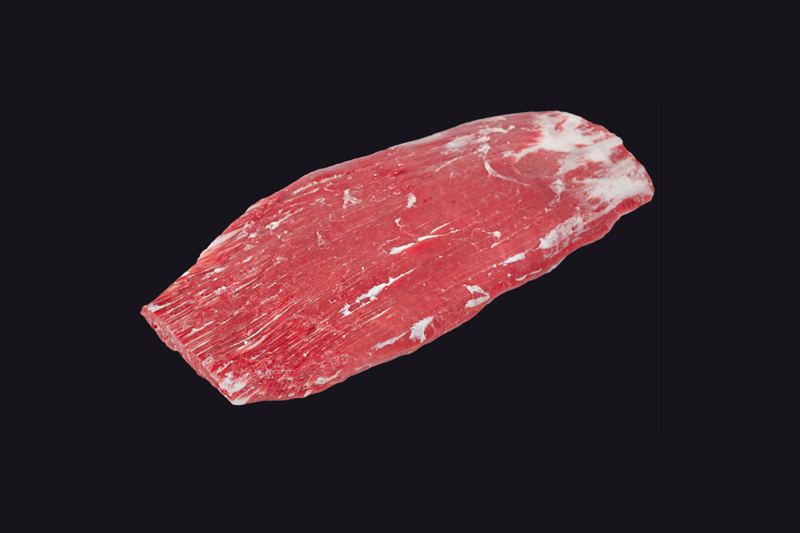 Not commonly found in the meat department; it is tender when properly prepared and has a beefy flavor. 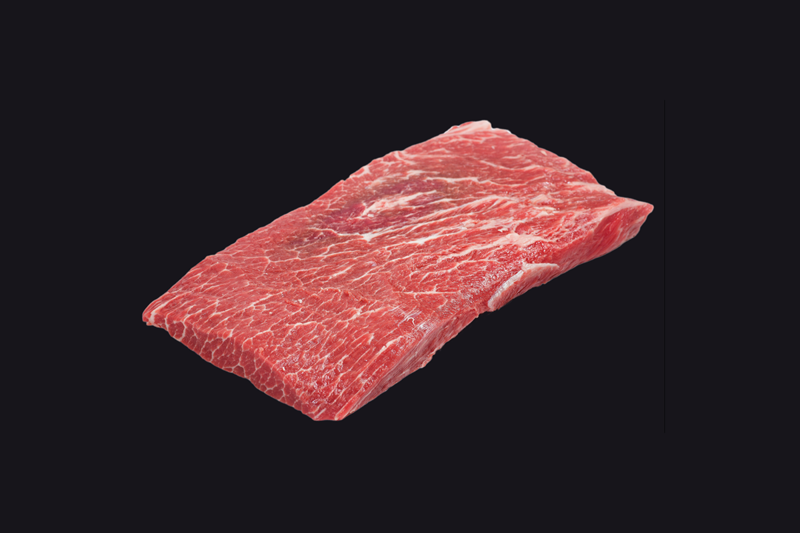 Similar to skirt or flank steak; very flavorful and finely textured, though slightly chewy; economical. A steak from a versatile, juicy and delicious roast. Lean and full of flavor. Moderately tender and boneless, it’s available at an affordable every day price. A very economical steak that is great for grilling. Best marinate before cooking. 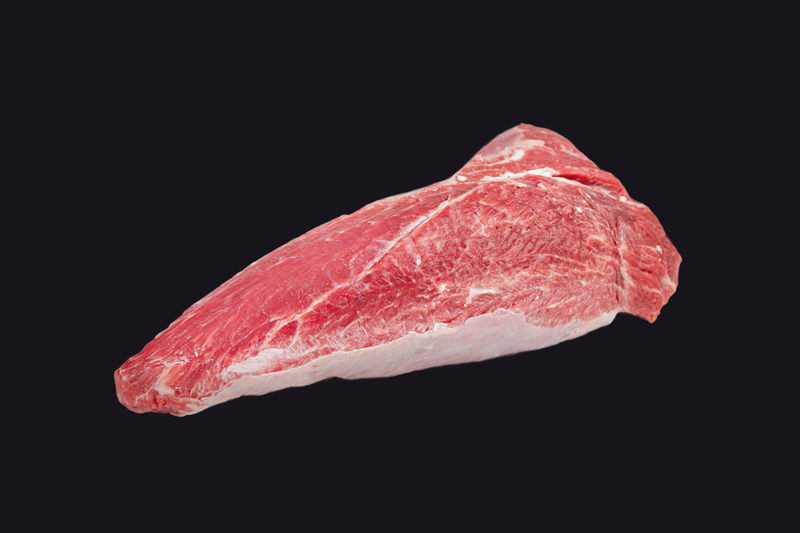 A steak cut from the Rump. Require braising to tenderize. Firm texture can be coarse, dry and stringy if overcooked. Very economical. 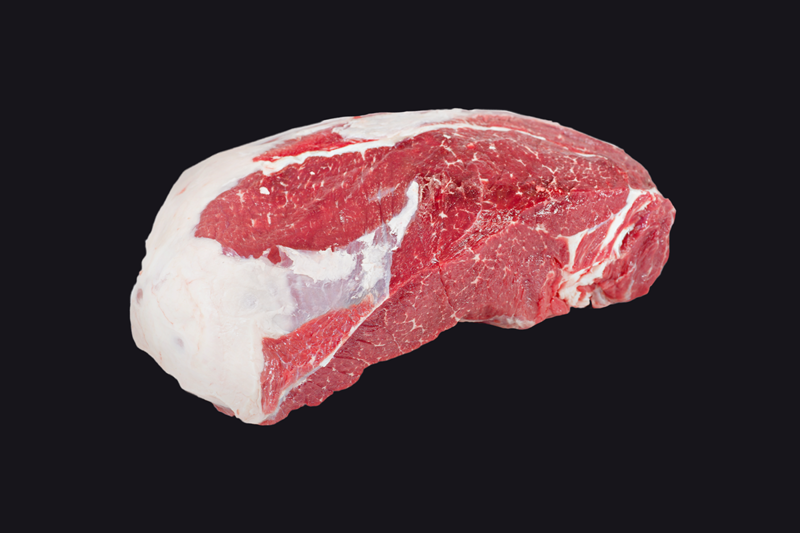 Steaks cut from a tri-tip roast (typically a 1.5-kilogram roast). Lean, tender and boneless. 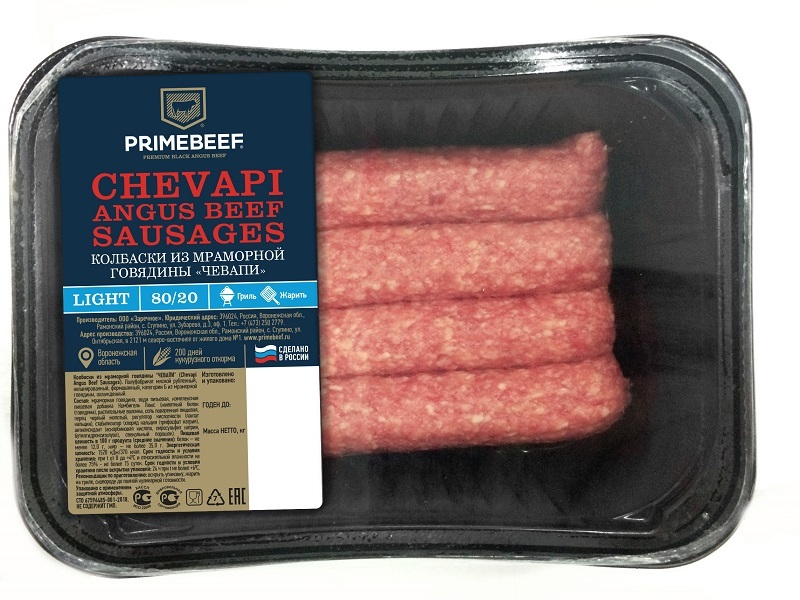 Rich beef flavor and great value. 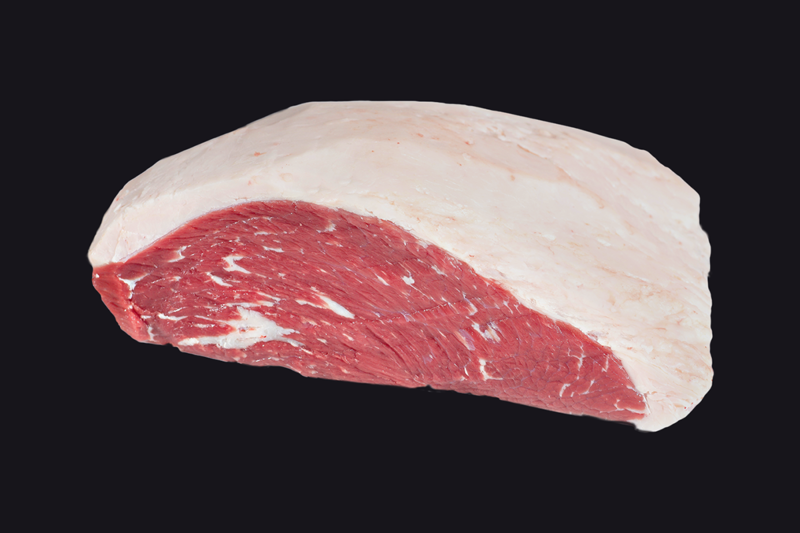 Topside Steak is a perfect choice for those who’s looking for a flavorful cut for a reasonable price. However, to grill this steak, it’s better to use marinades to make it more tender. 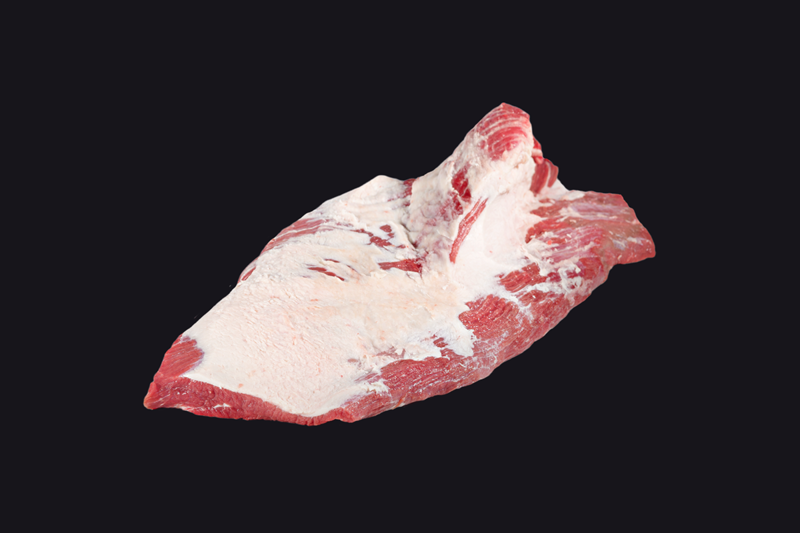 Portions of bone-in brisket. Rich, beefy flavor. A less-tender cut, it becomes tender and delicious with long, slow cooking. 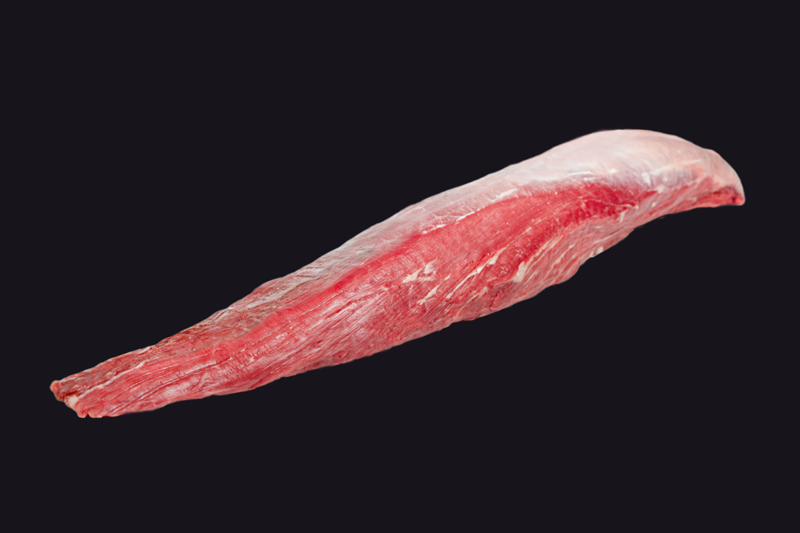 Shank contains the highest amount of connective tissue comparing to other cuts. Requires long and low-temperature cooking. 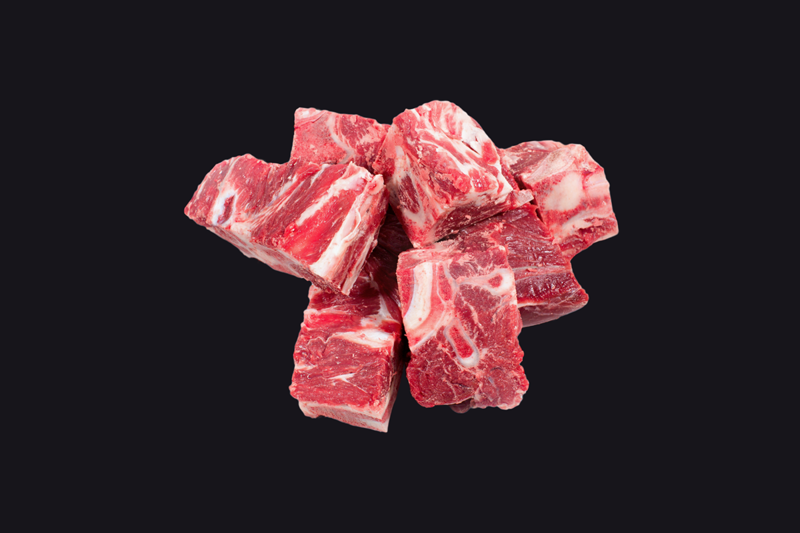 Cubed pieces of meat and bones. Perfect for making soups. 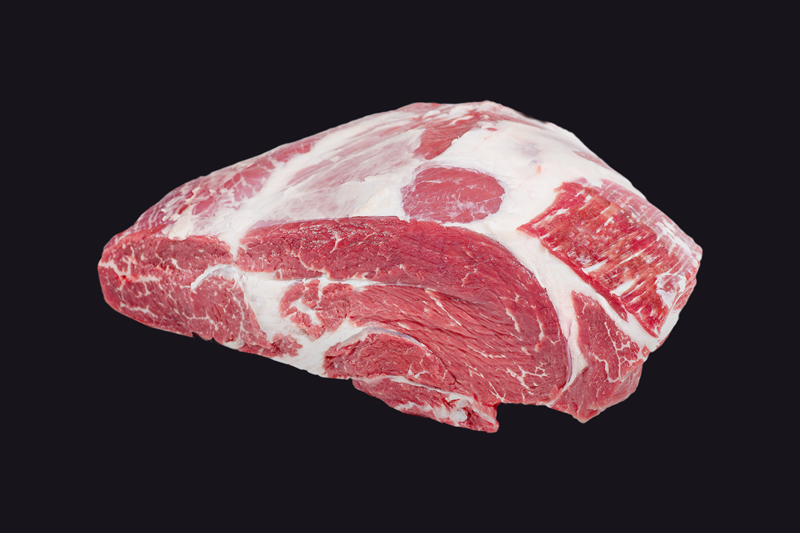 Trimmings, consisting of 70% of meat and 30% of fat.